Create achievable goals for 2017! If you are looking to get your life together in 2017 and make changes big or small, the Plannerisms planner can help you every step of the way. It is designed to help you set and track annual, quarterly, monthly, weekly and daily goals. There are pages to write your annual goals, break them down into quarterly goals, do mid-year and annual reviews, write your monthly goals and reviews, and more. The pages are not prescribed, there is no set way to use them. The flexible formats allow you to use your Plannerisms planner in the way that works best for you. You can even use it differently week to week if you like. 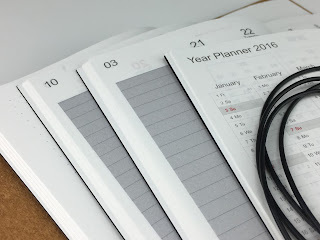 For more info and photos of the Plannerisms planner, click here. For tips on how to use your weekly pages, goals pages, and review pages in your Plannerisms planner, click here. Moleskine Spring 2017 catalog with 2018 planners! I've been looking online hopefully for weeks for the Moleskine Spring 2017 catalog, and finally it's out! You can see it here. Note: I am not affiliated with Moleskine in any way so if you have any questions about their products or availability you'll have to talk to them. Every year I go digging for the new catalog to see what Moleskine is coming out with next. 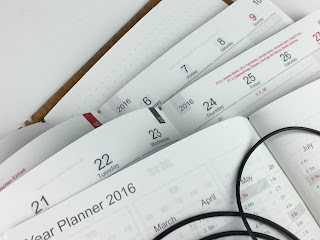 For the past several years their planner selection has been decreasing, and this year seems to be no different in that regard. But I'll get to planners in a minute. This catalog is called What's New, so their standard products like the large hardcover notebooks are not here. I'm assuming those are still available since they are the backbone of their brand. UPDATE: I found the full product catalog here, and I can confirm the standard notebooks, pens and pencils, accessories etc. are still there. Some items are listed as Spring Launch and others are Summer Launch. Let's go through the catalog together, shall we? First of all, the "Naturally Smart" storyline for 2017? Eh? Discuss. 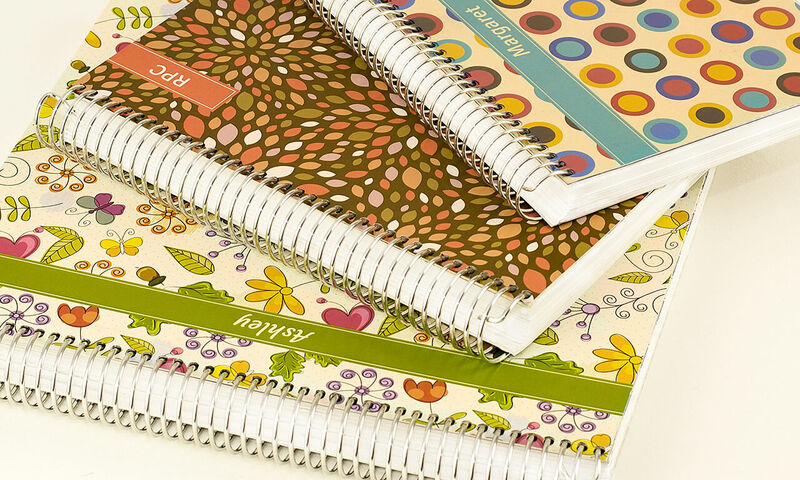 Extra Large classic hardcover notebooks in new colors, with blank, lined, grid or dotted pages. Yay! Soft cover notebooks in new colors (only red or blue) again with blank, lined, grid or dotted pages. Blend collection in large lined only. They did a similar fabric hardcover a year or two ago. Ok here we go: Planners! 18 month weekly notebook hardcover in black, elm green, red, berry rose, blue or yellow. (No purple! WAAAAAHHH!) Soft cover in black or red, horizontal week on 2 pages layout in black. Then there's something called the 18 month Daily planner. In their little chart on the page before it says it has a page for every day, but in this section it says it has only 208 pages, so one of those has to be wrong. Seems like a page for every day for 18 months would result in a massive book! I'm curious to see what this actually is when the products are released. Ok moving on: 12 month classic planners. Daily in hard or soft covers, and a return of the daily desk calendar which was discontinued for a few years. 12 month weekly notebooks in hard or soft covers, and 12 month week on 2 pages. 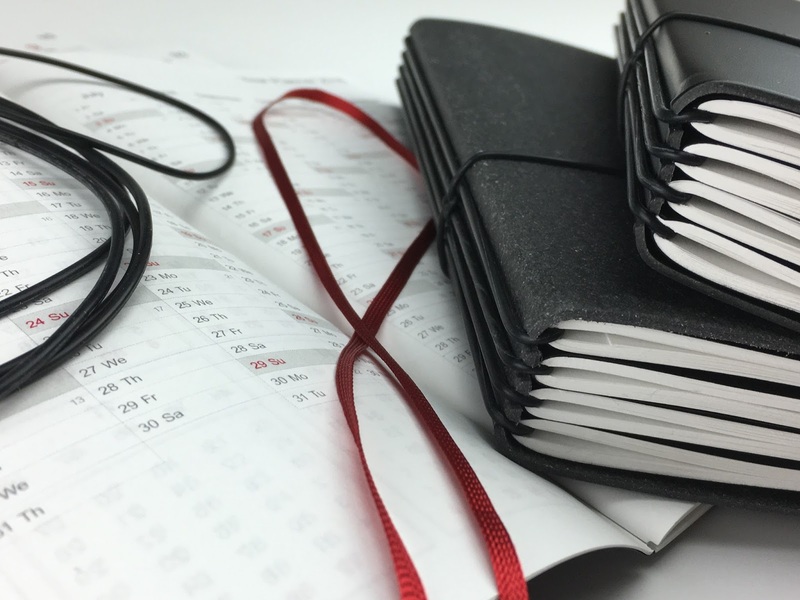 12 month vertical in pocket and large sizes, and the 12 month monthly notebooks are back (yay!). The Pro Planners selection seems severely reduced. Gone are the Action Planner, the Taskmaster, the Dashboard planner, and several others. This only lists Weekly Vertical in Large, Extra Large and A4 sizes. The Star Wars covers are really cool looking, looks like the designs are like stars/ constellations. I really like it! The 18 month planners have the Star Wars logo, the pocket size daily planner is BB-8, Large daily is a Stormtrooper, pocket 12 month weekly is Rey, and 12 month large is Darth Vader! SHUT UP AND TAKE MY MONEY, MOLESKINE!!!! Peanuts and Alice in Wonderland covers in 18 and 12 months. I personally am not a fan of these designs but they must be popular because they've been going for years now. Limited edition notebooks: Peter Pan, Beauty and the Beast, Keith Haring and Minions. Seems like a fairly random selection of themes. I want X-Men notebooks!!!! Cahier journals in Pocket to XXL sizes, a new Paper Tablet, and wow pages and pages of bags. So obviously I'm psyched about the Star Wars planners, but I have to admit that's pretty much all I see here that I'm really excited about. I don't particularly like any of the new notebook colors. But you never know what they'll come out with as the year goes on. For example I snapped up the Harry Potter notebooks that came out recently! Maybe I'll get my X-Men wish! What do you like in the new Moleskine catalog? 2017 Plannerisms planners update: Still a few left! There are still a few 2017 Plannerisms planners left! Click here for ordering info. If you are not familiar with the Plannerisms planners, you can read all about them here. 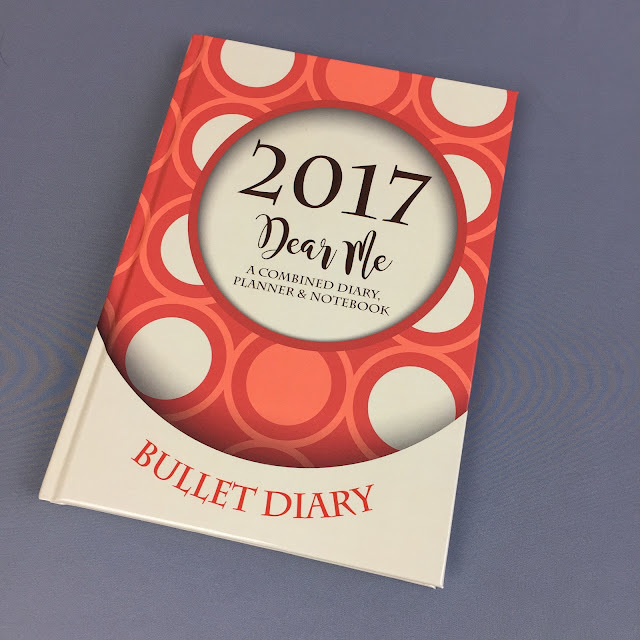 Short version: they are designed to help you set and track your annual, quarterly, monthly, weekly and daily goals by giving you space to write them down throughout the year and in your weekly pages. This keeps your goals visible all the time, and helps you work them into your daily schedule. You can read more specifics on how to use the Weekly pages, the Goals pages and the Review pages in your Plannerisms planners here. There will be no more Plannerisms planners printed for 2017, so once this batch is gone, they are gone for the year! So don't wait. The Plannnerisms planners are great for students, parents, people striving for a work/ life balance, and anyone who is looking for ways to be more effective with their time. They also make a great gift for that person in your life who wants to get organized and reach their goals! You may remember my post about this time last year reviewing the Agendio planner I made (and in case you don't here it is). Please read that post and the associated intro post for an overview of how Agendio works so I don't have to repeat it all here! 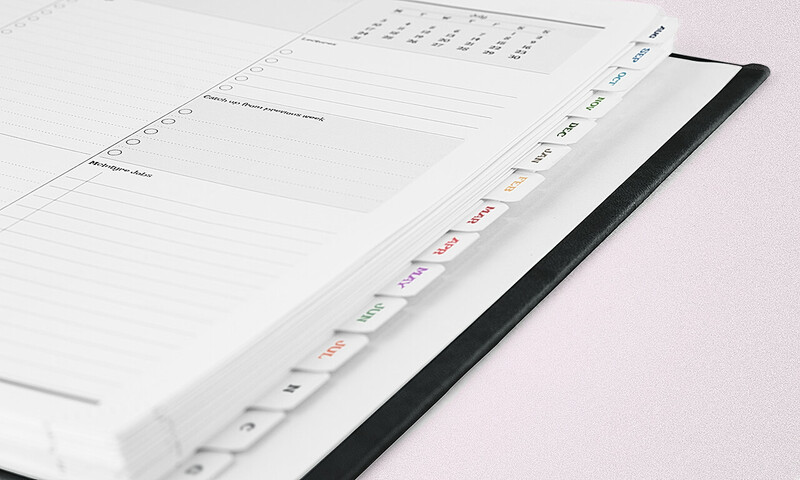 Agendio.com came out last year as a way to fully customize your planner: choose the size, layout, fonts, colors, which holidays and dates to include, etc. You can also enter your own events and dates like birthdays and anniversaries, recurring daily, weekly, monthly or annual events, etc. And on the weekly pages there are spaces you can label and customize to your needs like work, personal, exercise, the names of each of your kids, etc. You choose pretty much everything about your planner. You can choose which day your weeks start on. So for example if you work shifts and your work week starts on Wednesday, you can start your weeks with Wednesday! And you can choose your times for your days. So for example if you want your days to be timed 2pm to 11pm, you can do that! The website has been a huge hit this year as people have discovered how easy and awesome it is to create a planner customized to your exact needs. Now, Agendio has added even more options! Here's a really big deal: they now have Daily planners where you can choose just daily pages, monthly + daily, or weekly + daily! How great to have weekly or monthly pages for the overview, plus daily pages for the details! And of course the daily pages are fully customizable too. 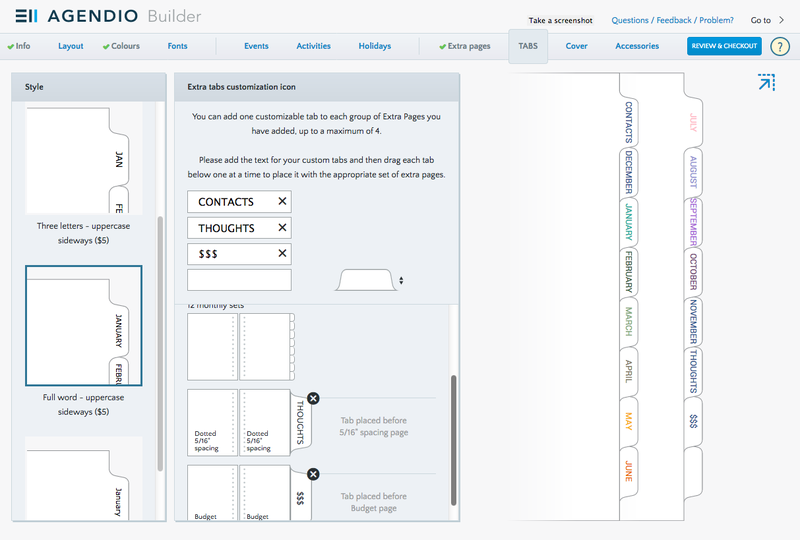 Here's another really big deal: you can choose and customize additional pages! They have templates for Budget, Contacts, Music pages, Meal planning pages, future month planning pages, dot grid, lined, plain or squared pages. You can customize fields to fit your needs, add titles, etc. You also choose where in your book you want these pages: in the front or back of the book, and in which order. Here is a screen shot of the Extra Pages customizer. You choose your pages, label the fields, and place the pages in your book where you want them to go. And you can add tabbed dividers! 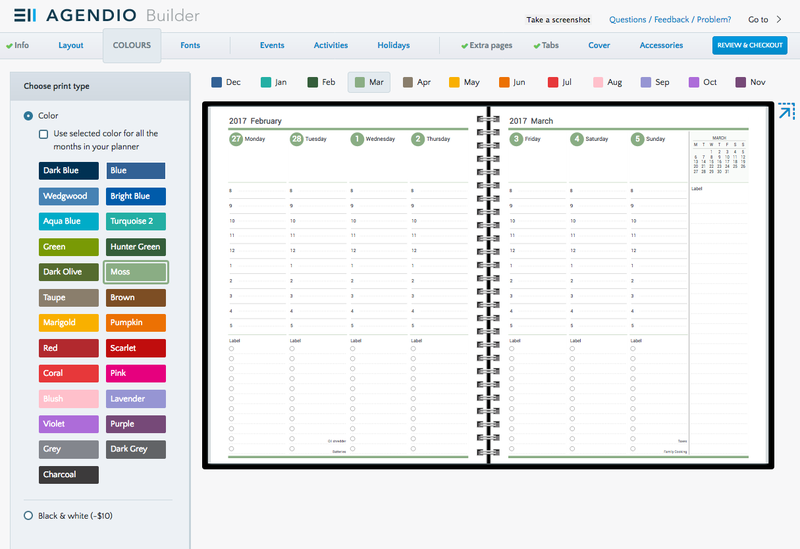 You can put the dividers at your monthly pages, and in sections to divide your added pages, and add custom labels to the tabs. 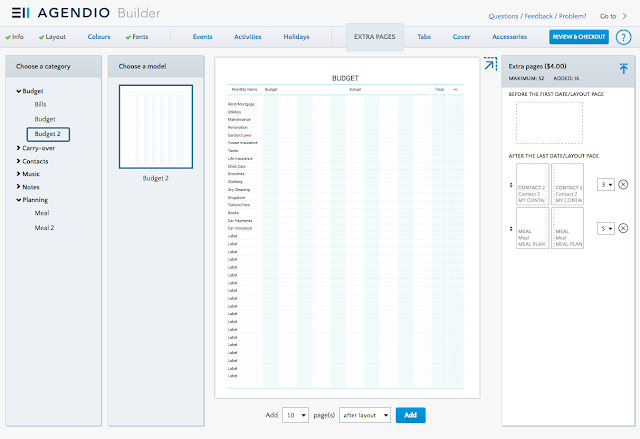 So for example you can have a Finances section with Budget forms, dot grid pages, and lined pages with titles. Or you can have a Holiday planning section with lists for cards and gifts, and a budget page for expenses. You label the tabs yourself, and put them with whichever of your extra pages you choose. **Update: Agendio outsourced the tabs and were not completely satisfied with the quality, so they have taken the tabs option offline until they are able to do the tabs themselves in-house, hopefully later this year. Daily pages and extra pages are made possible by another new feature: spiral binding! The spiral binding allows the book to have as many pages as you need. There are also new cover options including lots of designs that you can customize by choosing the color and adding your name, year, or short phrase. Another new feature: weekly and monthly pages are printed on new, thicker 105 gsm paper so you can use any pen you like. You can choose the fonts and print colors, and can even choose a different print color for every month! Another great option is black and white printing at a lower price point for folks who want an Agendio but want to save some money. There are also new accessories, including elastics to hold your book shut. Agendio also makes ring binder pages for Filofax, Daytimer and Franklin planners. You choose the brand and size to fit, then customize your pages. I have a new Agendio planner on its way to me, and of course I will review it here on Plannerisms when it arrives! All images and screen shots from Agendio, used with permission. I was sent this diary to review after ''Journals of a Lifetime' had revised the interior design of the pages. So thank you to Helen and the team at 'Journals of a Lifetime' for this sample. 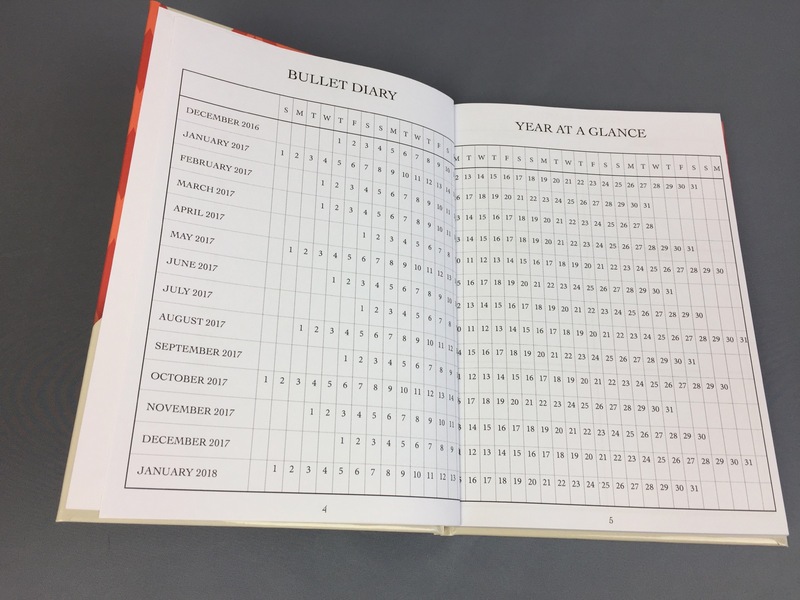 The Bullet Diary is a hard back covered diary of some 230 pages in total. It is slightly bigger than A5 at 230mm by 165mm so ideally suited as a desk diary. The start of the diary has some lined space may be to write down your thoughts and ideas at the beginning of the year. There is an index page which will make finding the months easier, the pages are numbered as well. 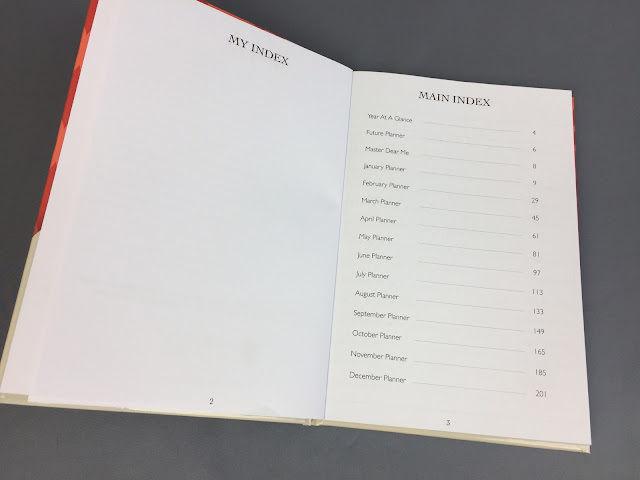 On the left hand page there is space for you to record an index to key events etc during the year. There is a Year at a Glance to help you quickly check dates. May be use a colour coding scheme to shade in key dates and holidays etc. 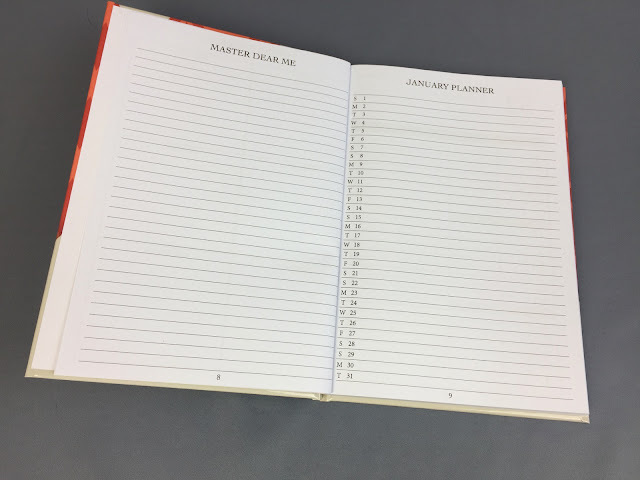 Then there is a monthly future planner, again useful for jotting down slightly more details about future events and commitments. Then at the start of each month there is a month on one page calendar which you can use as you wish. We then get to the week view diary pages which is nicely divided in to tines, activities, daily goals, weekly goals etc. There is also a quote for each week. 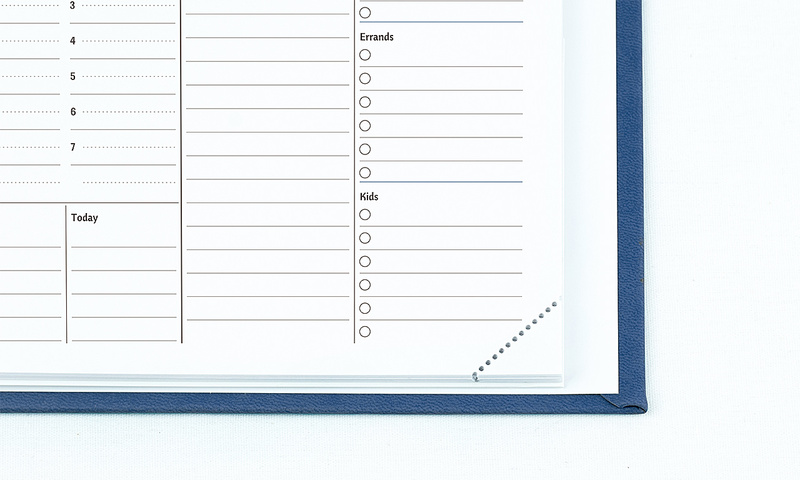 A space to tabulate the symbols you have used against your activities in true bullet journal style. After each week there is a double page lined section which you can use for notes, may be as a journal or what ever you wish for planning or journalling about the past or the next week. 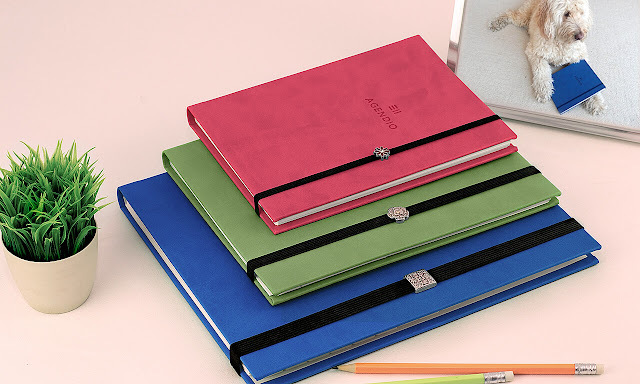 Journals of a Lifetime do a wide range of specialist diaries and notebooks, check out their website for full details. And thank you to Laurie for letting me post this review. Are you looking for a planner to help every aspect of your life including work, family, home care and maintenance, personal goals and growth? What planner could possibly encompass all of that? This one: The Success Choice Planner. 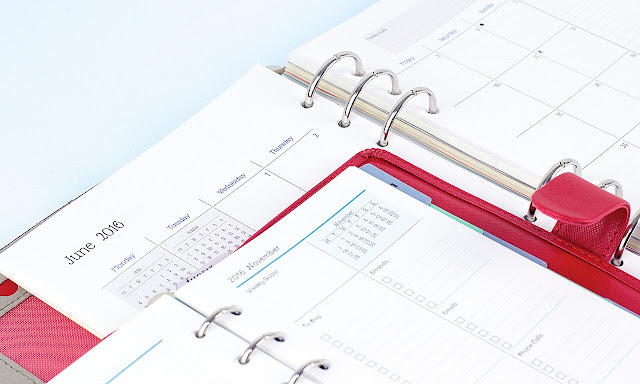 Pamela Henrie, the creator of The Success Choice planner, has done (and continues to do) a ton of research on productivity, goal setting and tracking, and time and task management. She incorporates all of this into her planners. 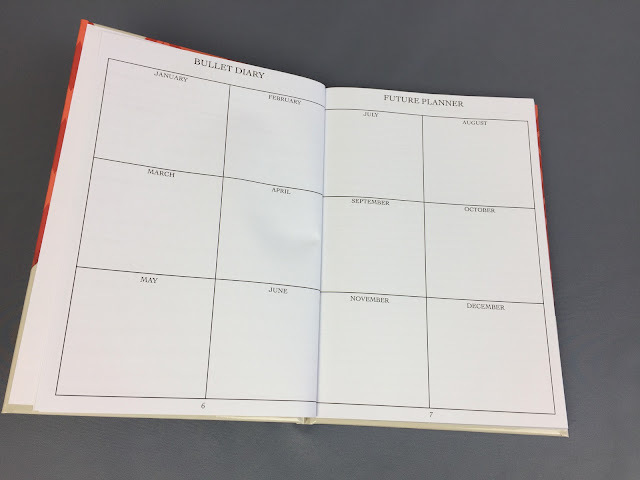 The Success Choice Planner is comprised of quarterly books (or looseleaf pages) that are packed full of features designed to help you identify your goals, reach your potential, and keep everything running at once. The pages are 5 1/2 by 8 1/2 inches (half letter size) so the books are lightweight and portable. They are designed to go everywhere with you so you can capture plans and ideas on the go. New for 2017: After considering all the feedback from customers, the paper has changed and is now white! The white paper and new clearer font make the pages easier to read. 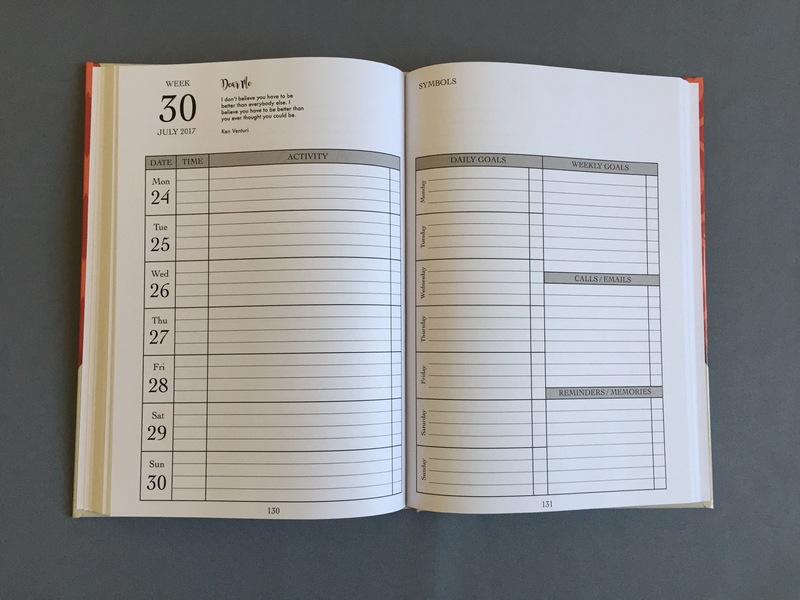 Every quarter there is a new color scheme, and monthly pages have heavier paper and colored edges to make them easy to find embedded in the weekly pages. Every month there is a theme to focus on. For example January's theme is Discover Your Talents. I'm not going to show you all the features of these planners, partly because there is just so much but also because I don't want to give everything away. Part of the fun of these planners is discovering all the jewels throughout. Every month there are pages to plan your goals for every aspect of your life, which helps with work-life balance and personal focus. There are tips relating to that month's focus, and monthly traditions to help build relationships and happy memories. 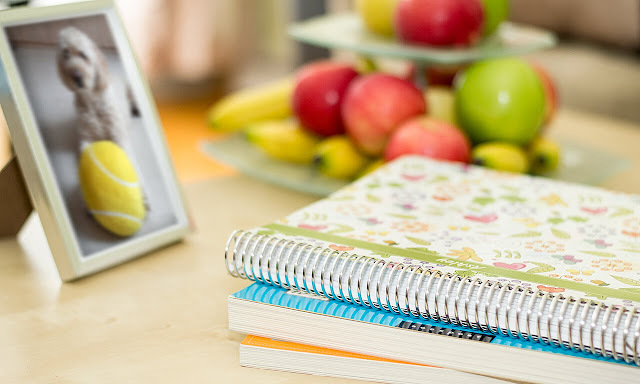 Every week there are pages for tasks, household chores, meal planning and grocery lists. And Friday-Sunday on the following page, along with a page to review your week with lessons learned, successes, and space for reflection. Throughout the books there are plenty of pages to help you think ahead about your goals, track your goals along the way, and evaluate your progress. 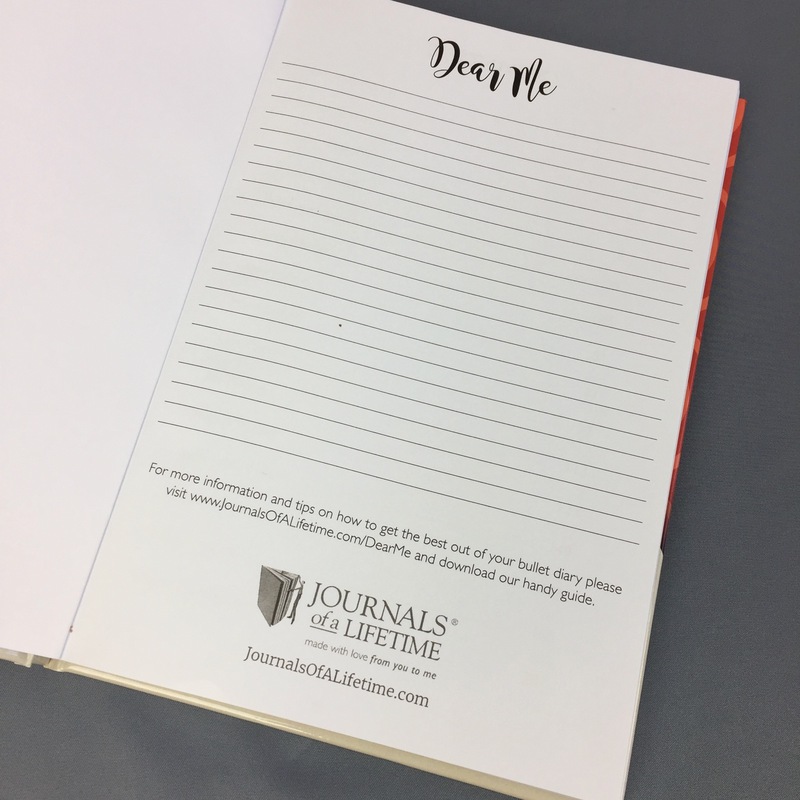 There are pages for journaling and notes throughout the books. Every month there are pages to review your month, list successes and lessons learned. Again I don't want to show you everything, but at the beginning of the year there are pages to help you set goals for every aspect of your life: health, spirituality, relationships and family, finances, etc. There are spaces to brainstorm what you would like to happen in the upcoming year. Then there are pages to help you break these goals down by month. And again at the end of the year there are pages for your year-end review. The inside covers of these books are filled with tips on creating your success plan, tracking your success, establishing monthly, weekly and daily routines, etc. In the back of each quarterly book are forward planners for the next two years, more notes pages, and a pocket for cards and papers. The Planner Companion booklet is sold separately and is designed to fit into the back of the leather cover along with your spiral planner. This booklet is full of reference pages and is the perfect place to keep long term lists and info to use year after year. Again I don't want to show you everything, but this will give you an idea of the enormous amount of information this slim lightweight booklet holds. Detailed contacts pages, gift ideas, books to read, movies to see, restaurants and phone numbers, vacation ideas, birthdays and anniversaries, etc. There is a lot of information crammed into this very slim and portable book, so you have access to this info all the time. 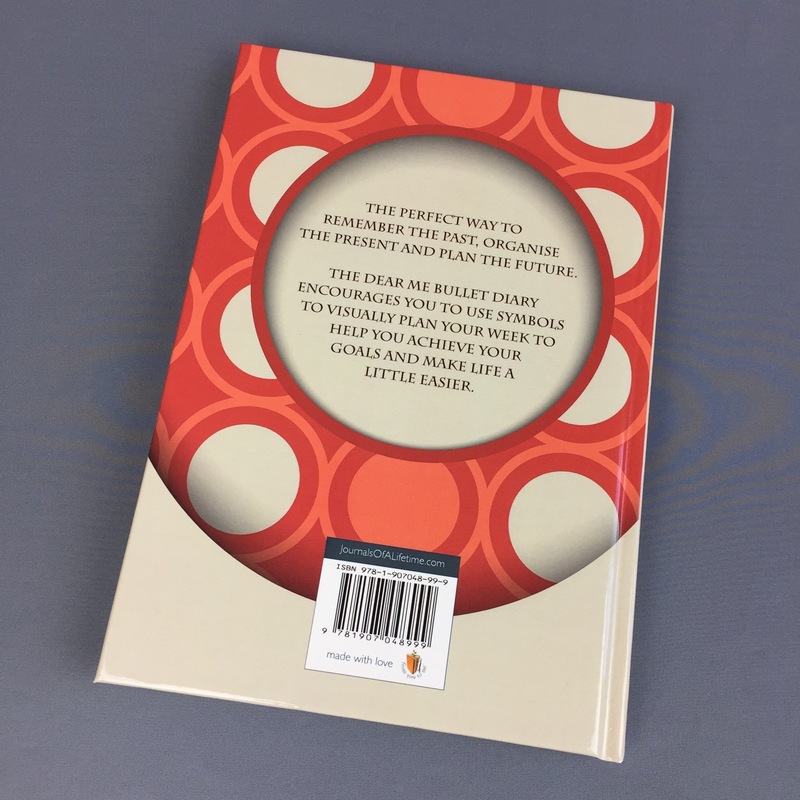 The companion booklet is specifically designed not to ask you to write down information that could lead to identity theft like passwords or account numbers. The Success Choice Planners and the Companion Booklet will help you get and stay organized in all aspects of your life, all year long. Use code plannerisms15 to get 15% off your entire order at www.TheSuccessChoice.com! Many thanks to Success Choice for sending me these planners as samples to review! My own photos, with permission from Success Choice. The 2017 WeekDate planners are going fast! Below is the pink Start The Party cover, you can see all the cover colors and designs for 2017 here. These handy planners simplify your life enormously by allowing you to write recurring events only once. Yes you read that right! You don't have to rewrite recurring events week after week. Your recurring events stay visible all the time so there's no worries about double booking, even in future weeks and months. If you're not already familiar with the WeekDate system, here's how it works. The top section is where you write your recurring monthly events: things that happen on, for example, the first Monday of every month. Or the third Thursday. Or the last Friday of the month. Types of things that might go here: staff meetings, farmer's market, cleaning schedules, etc. The weeks are color coded so for example in the week shown above you can see the first Mon-Fri of the month, and the second Saturday and Sunday of the month. So you look at your current week, then look up the column to see the monthlies that pertain to that day according to which week it is. The middle section offers you a view of two weeks at a time. This is where you write your specifics for each day. There is also a lined space to the left of the page to write weekly goals and lists. Below the weekly section is where you write your weekly recurring events. This is where you write your kids' afterschool activities, your class schedule, and any other events that happen the same day every week. Write in pencil, and when something changes you write it once and it's done for the rest of the year! At the left of the bottom panel is where you write things that happen on the same day every month, for example if your rent is due on the first of the month, credit card payment is due on the 5th, etc. This means that everything is visible all the time: your monthly recurring events, your weekly recurring events, bills due, and scheduled events. Nothing slips through the cracks! No more feeling overwhelmed. This planner keeps it all together, and all in front of you all the time. This whole thing folds up so slim and it weighs next to nothing so you can take it with you everywhere! I haven't shown you all the goodies in this planner so you can discover them on your own. Look for the Time Tracker especially! WeekDate products are available at www.WeekDate.com. Also be sure to check out WeekDate on Facebook! Many thanks to WeekDate for sending me this planner as a sample to review! Many thanks to Deaf Messanger for sending me these products as samples to review! I was thrilled to receive these new 2017 diaries and notebook from Deaf Messanger! I love the cool art of their notebooks and diaries. The Deaf Messanger notebooks come in various sizes with all kinds of cover art. 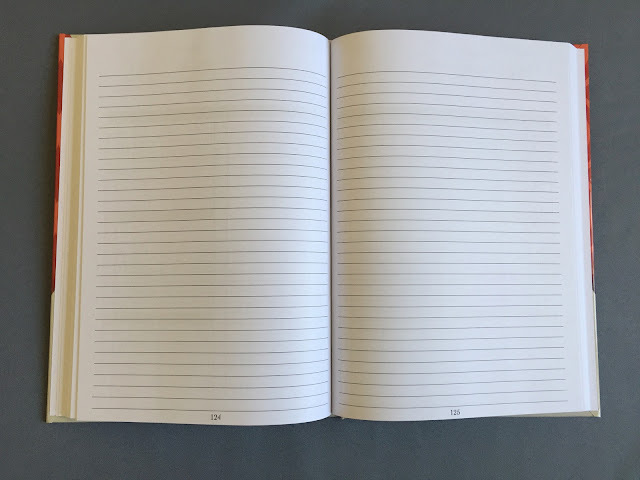 This is the Big Notebook which is A5 size. Inside there is a pocket made from a magazine page, so each one is unique. The recycled paper is blank and inviting, ready to hold your thoughts and drawings. Throughout the book are all kinds of found things like magazine clippings, pieces of old maps, stamps, etc. This looks like someone's handwriting practice. There are pictures and quotes throughout the book. There is a placemarker ribbon, an elastic closure, and a pencil in an elastic loop. The printed edges look great! These are just two of the covers available for the 2017 diaries. There are different covers every year. These A6 size diaries are lightweight so they can go everywhere with you. Inside the front cover is a pocket. There are overview pages so you can see six months at a glance, letting you easily see travel dates, holidays, and important dates. The weekly pages are different every week, keeping it interesting all year. Throughout the book there are things stuck in like pictures, cards, magazine clippings, etc. This is not your usual boring diary! There are interesting things throughout the book. The weekly pages have art, quotes, and all kinds of surprises. Deaf Messanger notebooks and diaries make great gifts. They ship worldwide! You can contact them to ask about international shipping rates. You can convert the prices to your currency at XE.com or a similar conversion site. You can learn more about Deaf Messanger and their philosophy here. You can see all the Deaf Messanger products here. Be sure to follow them on Facebook for all their latest news, and to see how they make their products!